There’s almost nothing more American to drink than bourbon. For one thing, bourbon must be made and aged in the United States to be labeled as such, from at least 51 percent corn. The remainder of the mash, or the recipe of grains, must be barley, rye or wheat. It’s aged at least two years in new, charred oak barrels, which gives many bourbons their vanilla, woody and caramel notes. GAYOT’s Best Bourbons Under $40 are exceptional values, ideal for entertaining or everyday sipping. For a truly all-American experience, give one of these a try in a refreshing Mint Julep. Need a refresher on the difference between bourbon and whiskey? Be sure to read this Intro to Bourbon. Next up, check out the cream of the crop with our list Top Rated Bourbons. Despite a history dating back to 1888, the iconic name and its popularity, Four Roses stopped selling bourbon in the United States for 40 years. The whiskey was so popular in Asia that Kirin, the Japanese beer maker, bought the company in 2002 and started selling bourbon stateside. 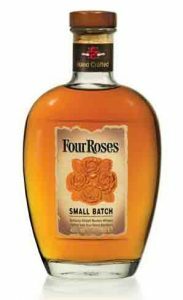 The Kentucky-based distillery combines its two mash recipes with five yeast strains to produce 10 different bourbons, four of which are used in Four Roses Small Batch. From one of the most well-respected Kentucky distillers comes this bourbon that lends a softer nose — yeasty, like baking flour. It’s great preparation for the strong whiffs of vanilla and burnt sugar that follow, though it maintains a versatile, robust oakiness that works in just about any whiskey cocktail. Maker’s Mark has been making only one bourbon for more than fifty years. Unlike other business executives concerned with growth, the owners felt that the bourbon was the best that it could be, so what would be the point of selling another? The introduction of Maker’s 46 was meant to be thought of, not as an entirely new bourbon, but as a new interpretation of the classic whiskey. Master Distiller Bill Samuels told GAYOT that his goal was “…to ramp up the flavor intensity, but keep the same flavor profile. The challenge was how to ramp up flavor without an increase in tannic acid. We wanted to be able to hold it on the tongue without biting.” The solution to keep the acids out came from a cooper. And what was the basis of the new bourbon? Matured Maker’s Mark! The product follows the same production path and aging process as the original until a winemaking process is employed: after emptying the barrel, additional staves of seared French oak are threaded on a dowel which is drilled into the sides. Searing the wood caramelizes the sugars therein, creating a unique flavor on the front of the tongue. The whiskey is then poured back in the enhanced barrel to age a few months. It smells of baking spices, baking flour and cream, though it surprises with a very oaky taste. This punchiness is exactly what it needs to stand up in a stirred cocktail — there’s a few caramel notes reminiscent of Coca-Cola, but in a good way. 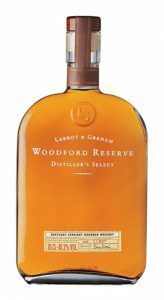 In its Master Collection releases, Woodford Reserve often changes its barrels in order to create a different flavor profile in a limited release. 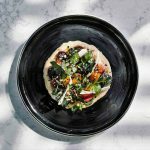 This similar technique works well in this case, and it’s a good thing, as Maker’s is hoping that this second offering will be around for a long time. We’re looking forward to trying the third Maker’s Mark bourbon, which at the current pace should be released around 2062. Despite this bottle’s mash bill of 60 percent corn, 36 percent rye and 4 percent barley malt, which would suggest it to be spicy, this bourbon offers fresh fig aromas with a rich palate of deep, dark fruits. Dry on the tongue, there is a medium finish, making it a nice change for the experienced bourbon drinker who appreciates hooch served neat. If you like light body and floral aromas, then this bourbon is for you. Fresh and bright, Buffalo Trace works best in a whiskey sour or punch. It’s also a little oily on the palate, so it pairs well with food. Go in for a second whiff and you’ll get the woody characteristics you’ve come to expect from bourbon. With bright apple and pear notes on the nose, this bourbon comes off light and bright in a surprising way. There’s a tinge of wood that soaks the palate after the first taste, but the apples come back for a full coat of the mouth, making it a perfect sipping whiskey at an affordable price. Keep this bottle around for your everyday whiskey whims. Spicier than the typical bourbon dram, it can work well in a more savory cocktail, perhaps even paired with another full proof spirit while offering a break on the palate with notes of vanilla and orange. If serving at a dinner party, it’s best to balance with a creamy dessert like creme brûlée or vanilla ice cream. Skip the iconic brand’s lower-proof bourbon for this one that has full, luscious and spicy flavors you could practically chew on as you sip. It’s easy enough to add an ice cube for after-dinner sipping, but you could also shake in a cocktail to experience its full-bodied versatility at work. Price: $32 for 750 ml. Dry and somewhat fruity on the tongue, this is a bourbon that could convince a non-whiskey lover to become one. 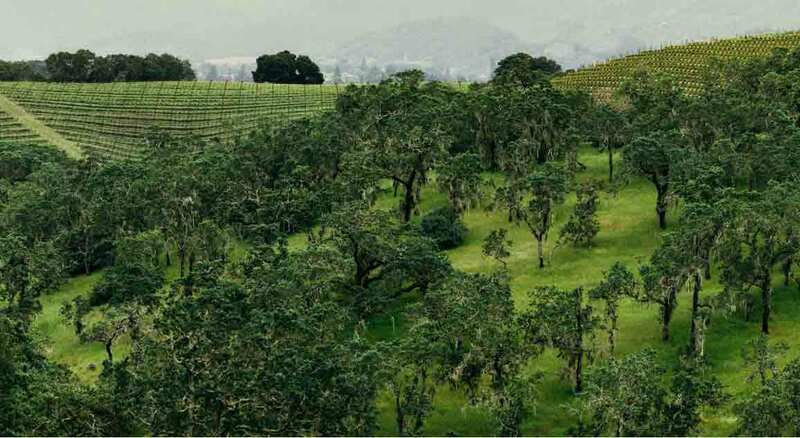 Pair with rich second courses like a ribeye with blue cheese sauce, and you’ll really appreciate the subtly oaky yet balanced finish that is as satisfying as a robust red wine would be. 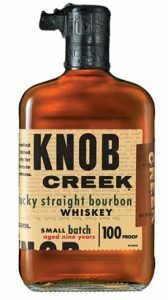 If a pecan pie could be bottled and made 100 proof, it would be this Knob Creek bourbon. That’s not to say it’s overly sweet, because it isn’t. The delightfully buttery aromas that emanate from the glass prepare you for baked goods and caramel with a surprising hint of dryness. It’s hard to beat the price of this easy-to-drink bourbon that is light and airy, while managing to whet the palate with its drying mouthfeel. You won’t feel bad mixing this bottle with just about anything, but it’s also the kind of bourbon you’d want to take with you camping for sipping around the fire. Sweet on the short to medium finish.